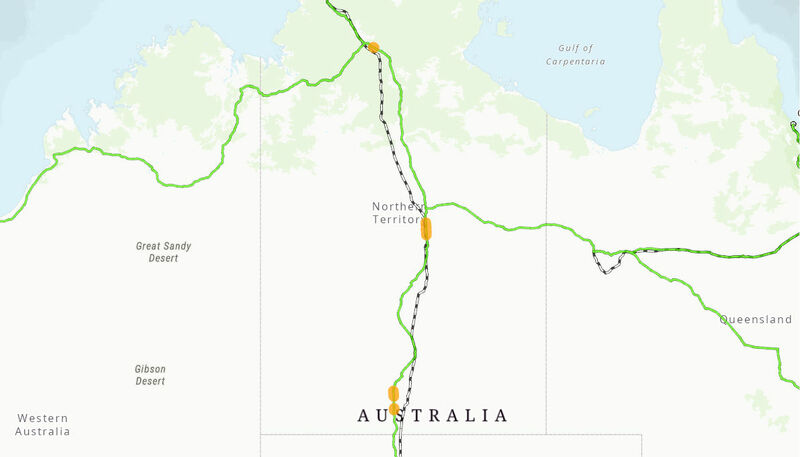 The project involved flood immunity works at four locations on the Stuart Highway in the Northern Territory: Karinga Creek; north approach to Palmer River; Gilbert Swamp; and north of King River, plus at the Sandy Creek crossing on the Victoria Highway. The flood immunity works will improve the reliability of the highway network and reduce the frequency and extent of road closures due to flooding. The Australian Government provided $16.281 million to the project. Works commenced on the first of the locations in March 2011, all projects were completed in September 2014.